Controlled, customized and assembled from your desktop, smartphone or tablet. 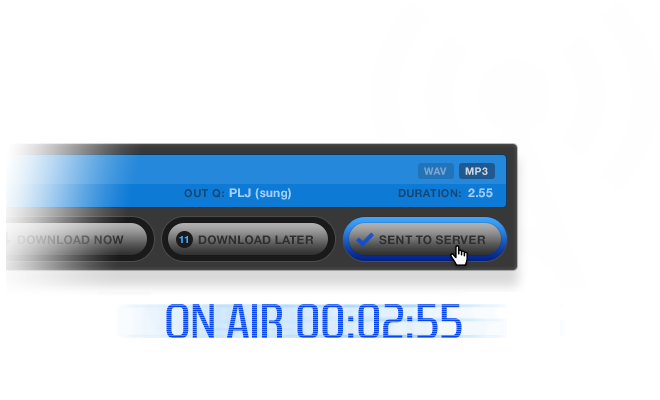 Create promos and sweepers - with your station voice or jingle - in a matter of seconds. Phantom’s patented concept delivers un-imaginable flexibility. No time to waste? No problem! The mobile app lets you get creative on the go and automatically syncs everything with your desktop account. The sound of your station at your fingertips, no matter where you are. iPush integration allows you to send finished files to your automation system fully programmed. 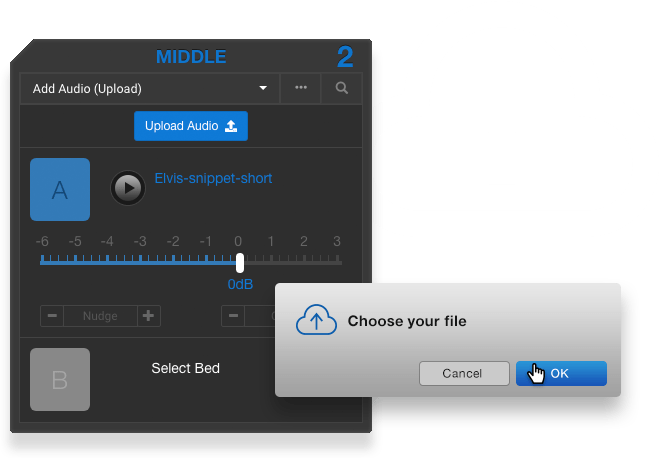 Phantom adds the metadata necessary to connect, load and schedule with the touch of a button. 'User Upload’ means you can upload a v/o file, select a music track from our library of over 2500 cuts, choose an open & close with your station branding - and you’re done! A fully customized promo ready in seconds. A morning show with its own imager? Now it’s possible! Phantom Mornings is the new production imaging service exclusively catering to morning shows. Topical and timely imaging made fresh daily - customized instantly via the Phantom App - and on the air in seconds. The sound of the show is literally in your hands. 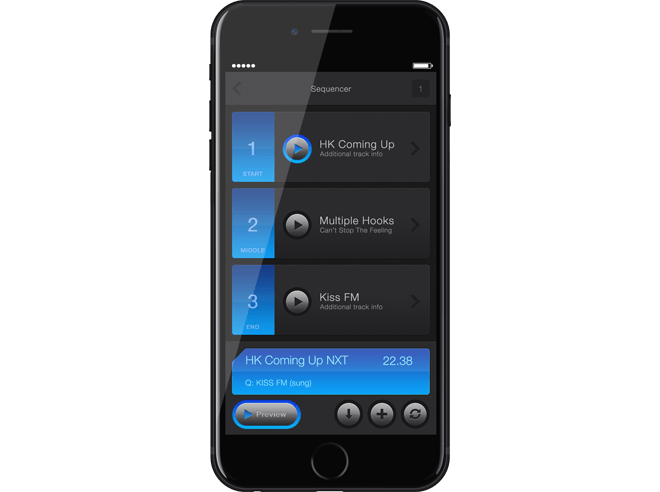 Following in the footsteps of great stations like Z100 New York and KIIS FM Los Angeles, Phantom Producer CHR offers slick, up-tempo imaging that's produced to meet major market standards. Today's cutting edge sound—using tomorrow's cutting edge technology. Smart artist material and great listener shouts, delivering fun and energy to your Hot AC. Featuring a variety of topical elements, music beds, on air work parts, jingles and music imaging. Design your station's sound right from the web page. Great listener elements, relevant artist material and a sound that reflects what's current without being in your face. Featuring music imaging, lifestyle sweepers, on air work parts, jingles and music beds. Create the right mood for your AC station in just a few clicks. Wrap the greatest music ever recorded in this "design your own" premiere imaging package. Phantom Producer's Classic Hits delivers all the elements you need to break out of the pack. It's full of the world class content you've come to expect from Phantom Producer! Platinum rock stars deserve this ultimate Classic Rock Imaging package. Phantom Producer's Classic Rock imaging package has it all! Drops, hooks, artist sweeps and IDs, listener drops, beds and more. 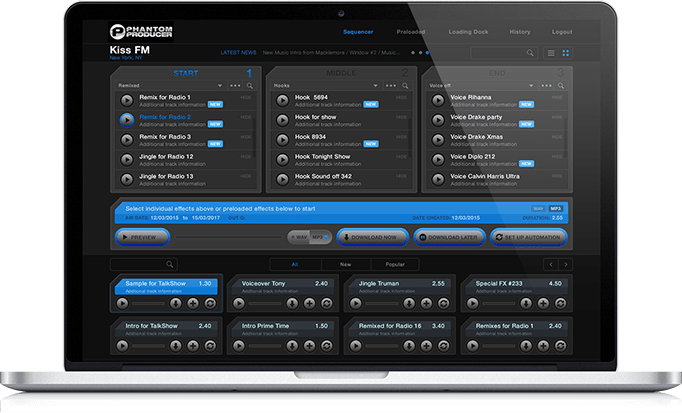 With weekly updates, Phantom Producer's Classic Rock imaging will help you take your station to the next level. Country proud and turned up loud! From Nashville to Nowhere-ville, Phantom Country Hot delivers the vibe of today's Country music and entertainment. Fresh, exciting sweepers, jingles, artist ID's and more that will target your audience and butter your biscuits! Looking for more steak than sizzle? Phantom Country Mainstream is world-class imaging that lights up today's contemporary stations as well as the classics. A high definition service with a down to earth style: From Keith, Florida Georgia Line and Taylor Swift..... to Garth, Reba and Brooks & Dunn,...and even a splash of Waylon and Willie. An epic sound at your fingertips. Phantom Rock provides an unmistakably cutting edge sound that's unique to mainstream rock. Bits, beds, artist sweeps, listener shouts, music imaging and on air work parts…everything you need to get the job done so you can get to the show. Annihilate the competition with Phantom Rock! America’s New Alternative Imaging Service - from modern & mainstream Alternative to the Seattle/Alt Rock stars of the 80’s & 90’s. Music based imaging for the music lover's format. Phantom Producer Alternative is here. From hip hop to R&B - Phantom Urban is a complete imaging service that offers authentic, no-hype imaging with attitude. Updated constantly and ready to go to air in seconds with your station vo in the mix. 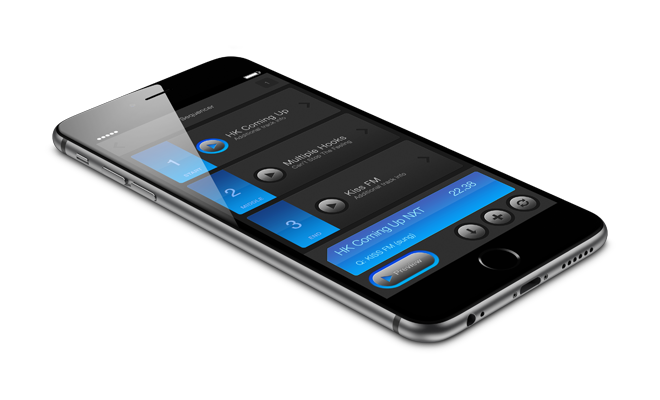 Off the hook production from your smartphone, tablet or desktop. Holiday imaging - all wrapped up! Phantom Holidays - the pop-up imaging service from Phantom Producer has everything you need for Halloween, Thanksgiving, Christmas, New Year and everything in between. Sleigh your holiday production list with a world of seasonal magic. Phantom is mobile. Production in the palm of your hand. © 2019 Jeff Thomas Productions Pty Ltd. U.S. Pat. No. 9,312,969 B2. All Rights Reserved.